Duchess of Cambridge Kate Middleton may have actually predicted her future life — becoming royal and marrying Prince William — at just 13 years old. A video surfaced online dating back to 1995 when Kate starred in her school's play. At about 20 seconds into the scene, a fortune teller came on stage and read her palm only to reveal that she had "the most lucky hand." He said she will be rich, she will meet a prince, and he will fall in love with her — oh yeah, and she will move to London. Sound familiar? Later on in the scene at about two minutes in, another character walked on stage and told her he loved her and asked for her hand in marriage — his name was William. Kate met the real Prince William while the pair were studying at Scotland's St. Andrews University, where they both graduated from in 2005. However, it was a year earlier that their relationship became public — they were photographed together on a ski trip with friends. But, it wasn't all smooth sailing in the years before they decided to tie the knot in April 2011. After college, Kate worked in London for her parents' company, Party Pieces and then for a retail store, Jigsaw. William was based in Sandhurst, England, where he enrolled in the Royal Military Academy. It wasn't until 2006 that it seemed like Kate really started to become part of the royal family as she went to William's graduation from the Academy and attended his step-sister, Laura Parker Bowles', wedding. However shortly after this, in 2007, Kate and William broke up for a couple of months. 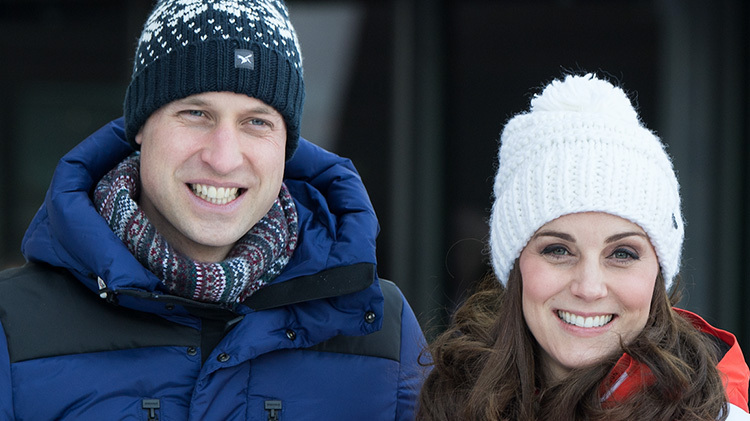 Although they were back together before the summer ended and their relationship intensified over the next several years until October 2010 when William popped the question. Now, in 2018, with their third pregnancy — insiders tell Life & Style Kate's expecting twins — well underway, it's safe to say the rest is royal history!